The heated fresh water swimming pool and orchid gardens that grace the downtown Key West situated Heron House, provide a tranquil atmosphere within the heart of historic Old Town. A lavish continental breakfast is served poolside as well as wine and cheese nightly. All rooms include private bath, a/c, telephone, alarm clock, color cable tv, in room safe, hairdryer, robes, and morning newspaper. 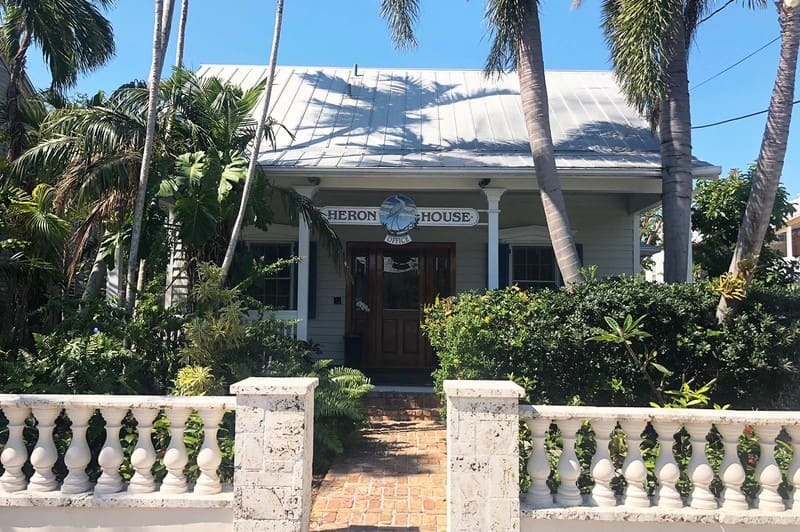 The Heron House location in Downtown Key West, is one block walking distance to Duval Street and a short 10 minute walk to Mallory Square and Sunset. Heron House offers a secluded oasis in the middle of downtown Key West.